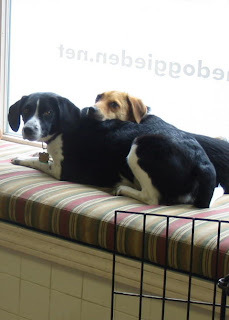 decided to take a break together and have claimed front row center on the windowseat. The nap lasted about 10 minutes, then they were out and about again. Zack was 8 years old on Saturday and he's been coming to The Doggie Den since he was a puppy. He's the friendliest, most cuddly boy you can imagine. 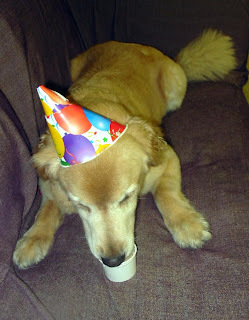 He was so happy to have his birthday Frosty Paws treat that he put up with the party hat without a single complaint! Zack loves everybody, plays with everybody and generally enjoys life to the fullest. 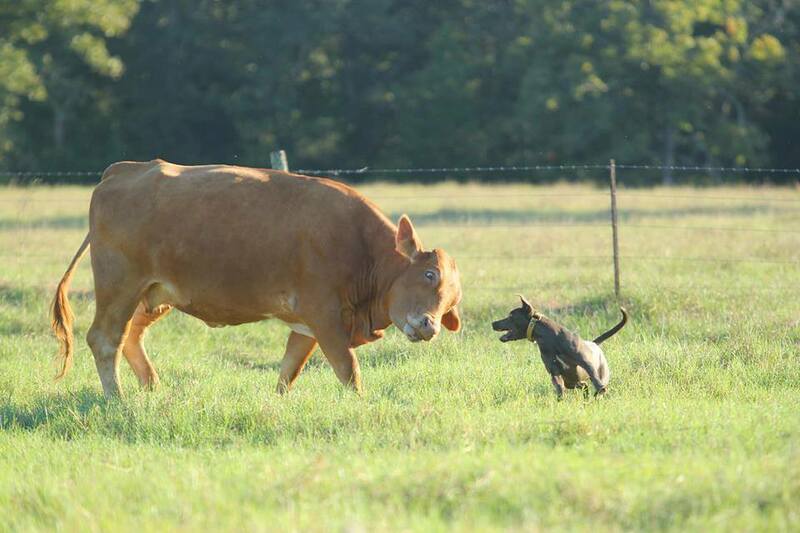 We are so grateful to have him in our big dog play group! Happy 1st Birthday to Murphy! 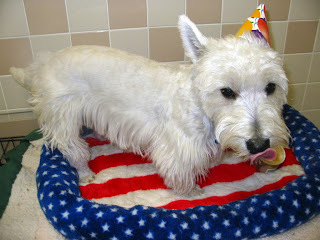 Not only is Murphy the June dog of the month, but June 5th is also his first birthday! Fortunately no one has told him he has to grow up yet, so he's pretty much still a 6 mo. old puppy. He wasted no time eating his peanut butter banana frozen Yogihund birthday treat. He was so busy slurping, he forgot to fight with us about wearing a party hat! Happy Birthday Cleo! Cleo is a discerning diner - she doesn't eat just anything. 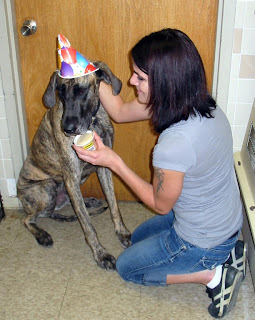 So Angie had to tempt her to get her interested in her Yogihund Peanut Butter Frozen Yogurt. But once she tasted it... WOW! She dug the treat out of the cup with her tongue and woofed it in one bite. What two-year old doesn't like ice cream?